Late into the night, Ryan Matney sets up a camera, flips on the switch, and records his favorite card magic creations. Real world magic that anyone can learn to perform. There’s no flash, no filmmaking skill whatsoever, and if you listen close, you can hear the low hum of a sleeping pug. It’s a 40 minute intimate session, on location from the shelter. PLAN B ACES: A quick, surprising Ace production. Just a hint of magician in trouble and then it’s over. SOMETHING FROM NOTHING: An easy, and impressive, signed card across, that uses no palming, and features a memorable script. 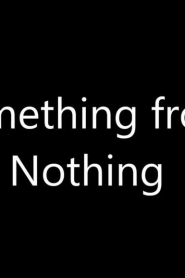 MARTY KANE’S Version of SOMETHING FROM NOTHING: Taught as a bonus with Dr. Kane’s permission. Marty has added another commercial twist to Ryan’s routine. POSITIVELY 4th STREET: A coincidence or a prediction? This is direct effect with a gambling presentation any audience can follow. The magician shows a souvenir lucky Ace that he used to win big in a poker game. Could it be lucky again? The spectator shuffles and cuts the deck, then deals the cards face up stopping on the first Ace she comes to. Incredibly, this Ace matches the magicians lucky card. A self-working stunner!